He was a teenager on probation in 1997 when he left the Midwest on an ill-fated road trip to Maine with his girlfriend. He was carrying drugs and a loaded gun when he was pulled over by a state trooper. With the officer standing outside his car window, Kinzel panicked. He pulled his weapon and fired at the officer, who fired a return shot into the air as he dropped to the ground. That prompted the trooper’s partner to unload: He fired 15 rounds from a 9 mm Beretta into Kinzel’s car. Amazingly, no one was injured — not even the state trooper. Kinzel’s shot had missed him completely. “It was miraculous,” he recalls. After a high-speed chase and a night on the lam, Kinzel and his girlfriend were apprehended. Kinzel was charged with the attempted murder of a police officer and sentenced to 19 years in prison. The federal Pell Grant program was created in 1972 to provide funding to students who lack the resources to pay for higher education, including incarcerated individuals. (Unlike typical federal student aid, a Pell Grant generally does not have to be repaid.) By 1982, there were 350 postsecondary education programs in prisons, and by the early 1990s, the number had risen to nearly 800 programs spread across some 1,300 facilities. After the Pell Grant ban was implemented, the number of prison-based educational programs rapidly declined. 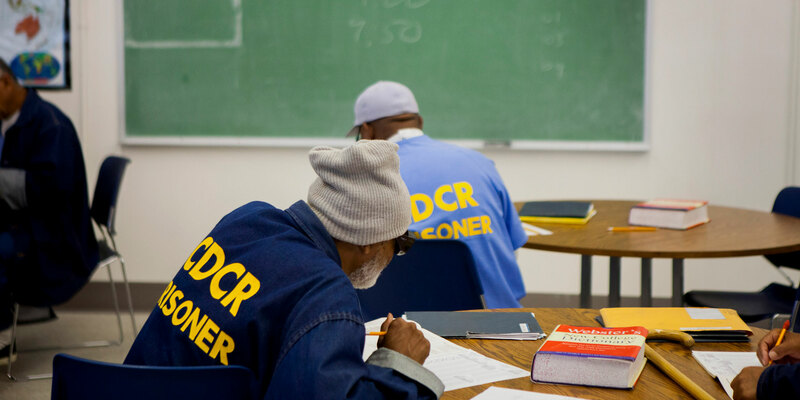 Currently, some 60 percent of individuals in prison will not get any in-prison educational opportunities beyond a GED, though in 2014, 70 percent of people in prison expressed a desire to pursue postsecondary education. The new report from Vera and the GCPI argues that providing the education that incarcerated individuals want would deliver rich rewards — not only lowering recidivism and saving the broader public millions per year in correctional costs, but also increasing wages and providing a foundation to break intergenerational cycles of poverty and crime. The vast majority of incarcerated individuals are of prime working age — 78 percent of men and 83 percent of women are between the ages of 18 and 54 — yet they do not fare well in finding work upon release. According to a recent study by the Brookings Institution, just 55 percent of men report any income within a year of release; the median earnings for the group is roughly $ 10,000. Vera estimates, conservatively, that if half of all state inmates eligible for Pell Grants (roughly 463,000) were given access to funding and educational programming, rates of employment would increase significantly, while earnings over the first year after release would collectively increase by more than $ 45 million. 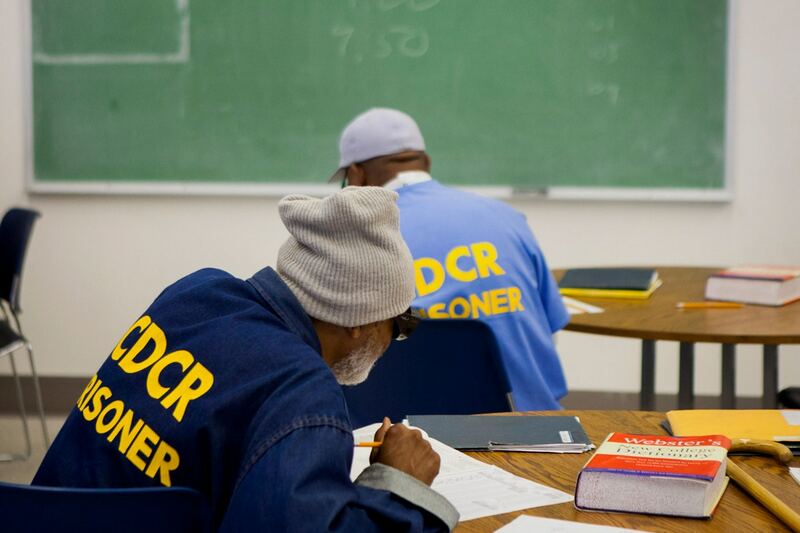 And because education relates to a significant drop in recidivism — lowering the odds by 48 percent — states would stand to save more than $ 365 million per year in correctional costs, according to the report. Texas and New York could each see annual savings of roughly $ 38 million; in California the annual savings would be almost $ 67 million. And even if the feds drag their heels, he says there is plenty of energy in the states to return meaningful education to incarcerated students. Part of the energy is likely attributed to the Obama-era second-chance Pell pilot program, which is funded through 2020. As of fall 2017, enrollment in the program, which pairs 67 colleges with correctional institutions in 27 states, was up to just over 5,000 inmates. There’s movement in Texas, Michigan, and elsewhere to expand educational operations further. And despite the larger ban on access to Pell Grants, a number of institutions have longstanding partnerships to provide postsecondary education to incarcerated students. The Bard Prison Initiative has awarded nearly 550 degrees since 2001; Bard’s graduates have a less than 3 percent recidivism rate. Boston University has been educating students behind bars since 1972 through a program funded by alumni. Jose Bou dropped out of high school in the 10th grade in Holyoke, Massachusetts, and ran away from home. He sustained himself mainly by stealing from unlocked cars. He was eventually caught and locked up for a couple of years and that got him thinking: no more stealing. He wanted something more lucrative, so he became a drug dealer. Eventually, he was busted after selling 300 grams of cocaine to an undercover cop. He pleaded guilty and got a 12-year prison sentence. He mentored other prisoners as he finished out his time, and after his release, he enrolled in a master’s program in criminal justice at BU. He taught community college before taking on a new job as the manager of Equity, Family and Community Partnerships for the Holyoke School District. He has come full circle: Once a Holyoke district dropout, he now fosters engagement to keep kids in school and away from the prison pipeline in the same community where he grew up. There Is a Real Border Crisis. A Wall Would Only Make It Worse.